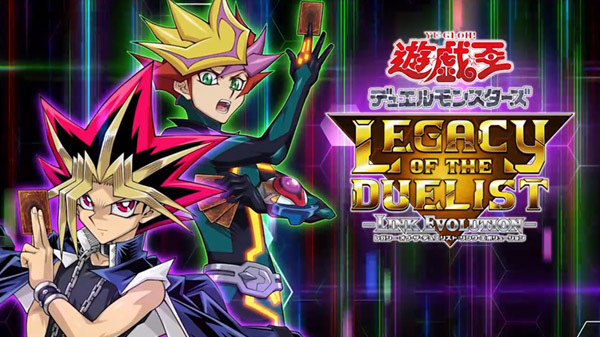 With only one week left until its Japanese release, Konami has unveiled the first trailer for Yu-Gi-Oh! Legacy of the Duelist: Link Evolution for the Nintendo Switch. Yu-Gi-Oh! Legacy of the Duelist is set to be available exclusively on Nintendo Switch in Japan on April 25, 2019, with the game hitting Western regions sometime this Summer. Build and customize a Deck from more than 9,000 cards, the most in any Yu-Gi-Oh! Trading Card Game video game. Challenge other players with local-play or Nintendo Switch Online. The addition of Link Monster cards not only change the way seasoned Duelists play their cards, but where they play them. Take on the roles of the animated series’ villains with Reverse Duels. Compete with Battle Packs for Sealed play and Draft play. Includes all previously released Yu-Gi-Oh! Legacy of the Duelist content.